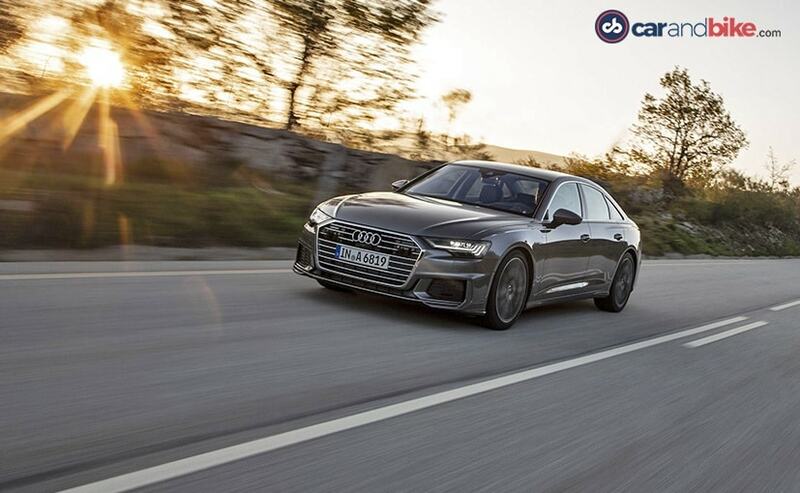 The new 5th generation Audi A6 sedan impresses on several levels and leaves its predecessors shortcomings far behind. It arrives in India only next year, and is expected with a diesel and petrol option. 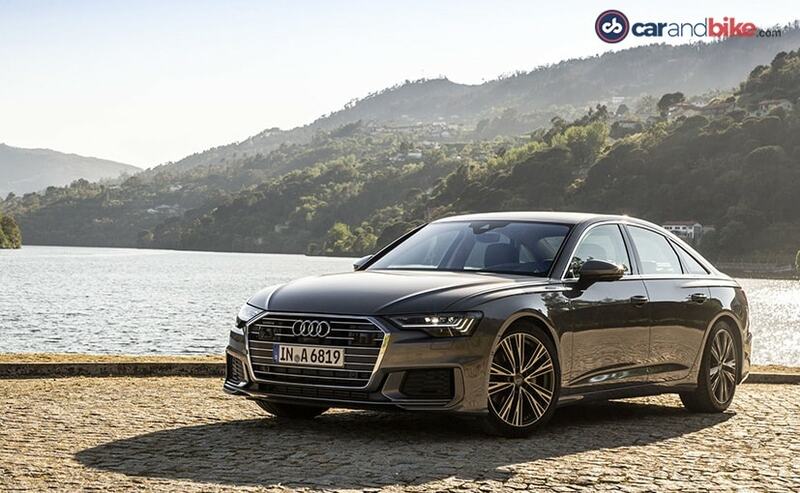 The Douro Valley is probably one of the prettiest places in Europe, and provided an excellent backdrop to test the all-new 5th generation Audi A6 sedan. The business executive's ride, the A6 has traditionally been the big volumes model for Audi. But the last car didn't quite match its expectations. So a lot was expected from the new one. And I am happy to report that Audi has delivered. The new A6 is in many ways a baby A8; and being a downsized version of a capable flagship is not necessarily a bad thing! 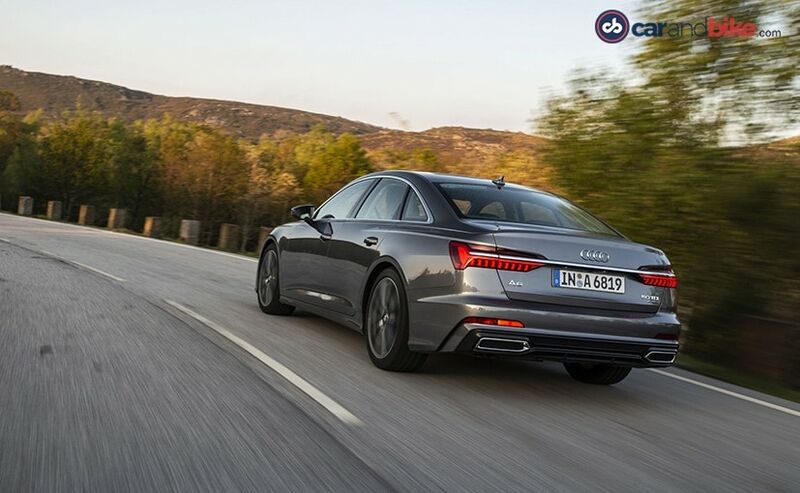 The new A6 is built on the VW Group's MLB platform, or what it describes as Modular Longitudinal Matrix. It uses a steel and aluminium multi-material construction that gives it 10 per cent greater torsional stiffness, and 30 per cent more lateral rigidity. The car looks almost the same size as its predecessor, and indeed maintains a similar footprint. But its has grown marginally on the inside - cabin length is up 21 mm, rear legroom by 17 mm, and there's more headroom - 8mm in front and 11 mm at the rear. What's also grown is the sense of opulence and luxury the cabin exudes. Better finished sure, but it's the use of complementary and contrasting materials that really sets the A6's interior apart. Especially so when you compare to the usual rivals - BMW 5 Series and Mercedes-Benz E-Class. But I shall come to the cabin in greater detail later. First a word on the engine lineup. Audi is introducing the A6 with a choice of 1 petrol and 3 diesels. Yes - three diesels! There's the 55 TFSI - a petrol V6 with 333 bhp and 500 Nm of torque. India is likely to get this, as well as the smallest diesel - the 40 TDI - a 2 litre, 4 cylinder 200 bhp, 400 Nm motor. The other diesels use the same 3 litre block - in varying states of tune (228bhp, 282 bhp). The cars also get a mild-hybrid system as standard on the V6 and optional on the 4-cylinder. This means the car has a small lithium-ion battery on board (48 volt on the V6, 12 volt on the 4-cylinder) that stores recuperative energy. So any regenerated power acquired by braking or in dynamic drive mode is stored to make the car's running more efficient, and also during start stop. But it goes beyond that. When you drive the car in Efficiency Mode, it will occasionally coast along on the battery power and cut off the engine. This can happen only for 40 seconds at most, at any given time. So it is like having start stop - only while moving. This results in a fuel saving of 0.7 litres for every 100 kms driven. I am sure we will be hearing more about this system - as Audi/VW continue to hone it. 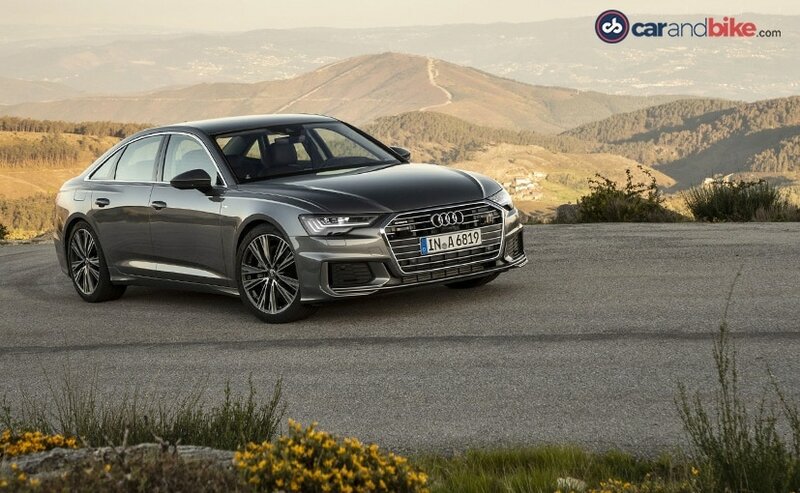 Audi is introducing the new A6 with a choice of 1 petrol and 3 diesels. I drove three variants - and yes made sure I covered the two coming to India (and that happens only next year by the way). I began with the 2 litre diesel - a brand new engine for the A6. Audi had introduced a new-new 2 litre diesel with the current Q5 in 2016. But that's been reworked for the A6. And is very different to the 2.0 TDI we got on the last car. Oh yes, very different. The first thing that strikes you is that the motor feels very refined. Its got a gruff growl - but only when you push it hard. For the most part its smooth as silk, and I have to say it's the best 4-cylinder diesel from Audi yet. It's mated to the 7-Speed S-tronic dual-clutch transmission with paddle shifters on the wheel. The engine is generous on torque and there isn't any lag. It will accelerate quickly, downshift even quicker, and respond just when you need it. The engine's response and the car's construction will give you a sense of driving a much more compact sedan - completely opposite to the last car which felt big on the road. You could always opt for the 3 litre V6 diesels for more power. But the 2.0 TDI does the job very well. The handling and ride are also several steps ahead of the car it replaces. 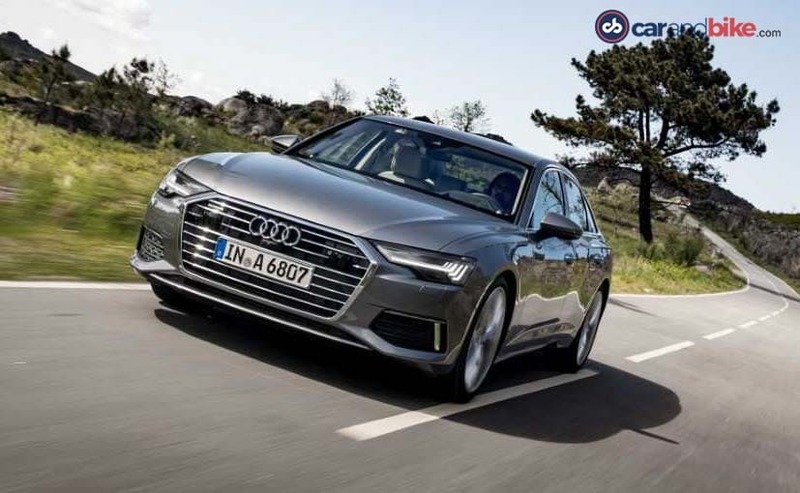 The handling and ride of the new Audi A6 is several steps ahead of the car it replaces. 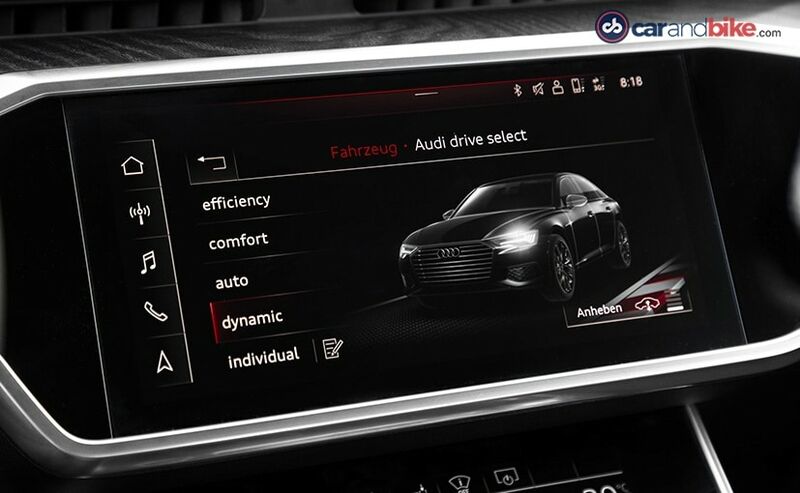 The A6 has ultra Quattro as standard, and it works effectively to give you the sense of control you expect from it. There is optional 4-wheel-steering too, which makes control even better. At higher speeds (over 60 kmph) the rear wheels turn with the front wheels, while at lower speeds they turn in the opposite direction. This helps cut the turning radius by 1 metre! Will certainly help with U-turns and parking situations - especially in India. The A6 has Drive Select of course with Efficiency, Comfort, Dynamic, Auto and Individual modes. Those are not new, and are pretty self-explanatory aren't they? What I like though is that when you get to dynamic mode, even though the throttle response, gear changes, and suspension stiffness change immediately, the steering remains relatively light. That is to say - there is no exaggerated stiffness, and given it is a business sedan, not having to struggle with the wheel while maintaining a sporty response is good I would think. The Douro River was my companion as I pushed the A6 40 TDI through the winding narrow roads. The steel springs on my test car gave me a great sense of assurance, while also providing the right levels of dynamic handling. Of course the air suspension I tried next on the A6 55 TFSI is even better since it lowers the chassis in dynamic mode and lifts it in comfort giving you enhanced levels of sportiness and cushioning, respectively. The TFSi engine is what you expect - very smooth, refined and quick. Once again the shining USP is how lithe the sedan feels, despite its weight and size. The engine is mature and will likely be the better option if you aren't the chauffeur driven sort - for its will give you the obvious sense of power that the 40 TDI may not. That said, the diesel will likely be the mainstay of the family in India, and may also be prices significantly lower as it may also drop a few tech features or creature comforts - say the mild hybrid, air suspension, panoramic roof, matrix LED lights and the like. The 55 TFSI will have everything as standard. But both cars will be similar in look and appeal, with very few styling differences - except for wheel patterns and sizes. But expect lots to be standard on both - after all, this car will have to deal with stiff competition from the new E-Class, 5 Series and even the Volvo S90. The new Audi A6 looks way sexier now, and yes does take a lot of its styling cues from big sis A8. In fact since the new A5, A8, A7 and now A6 came out, I feel Audi is boldly stepping out of its cookie-cutter design strategy; finally! There are obvious characteristics that bind them together as siblings though - a muscular hood, masculine flanks and a character-defining sharp crease over the rear fender. I expect a distinct interpretation of that to show up on the SUVs too, soon - perhaps the upcoming Q6 will show us that first. But back to the A6! The face is bold; the wide grille makes the car look sure and imposing. The headlamp is stunning, with slim DRLs (daytime running lights) and great use of layering. The matrix LED headlamp is made up of 32 LED units, and is likely to be standard on the Indian spec. The masculinity that comes through on the car's exterior styling is great as it gives the A6 a definite stance and so much presence. The taillights are the car's signature - with sharp horizontal LED lines and short vertical ones below it. Both are separated by a chrome strip that travels across the back of the boot lid and slices through both taillights. So unlike the A8 where the line connecting them is LED, this one is chrome. I won't say the new taillight design is so much good-looking as it is bloody distinctive. The boot itself is cavernous with a wider opening now. Its volume is 530 litres - larger than before - and despite storing that aforementioned Li-ion battery below its floor. I was rather surprised by the faux twin exhaust motif done in chrome just below the boot on the rear bumper. A Mercedes-Benz design quirk - which always used lines to simply suggest dual-exhaust, Audi has taken it further by designing very specific exhaust apertures - fake ones! Well, I guess buyers wouldn't mind that! Yes I mean American, Chinese and Indian buyers in particular! 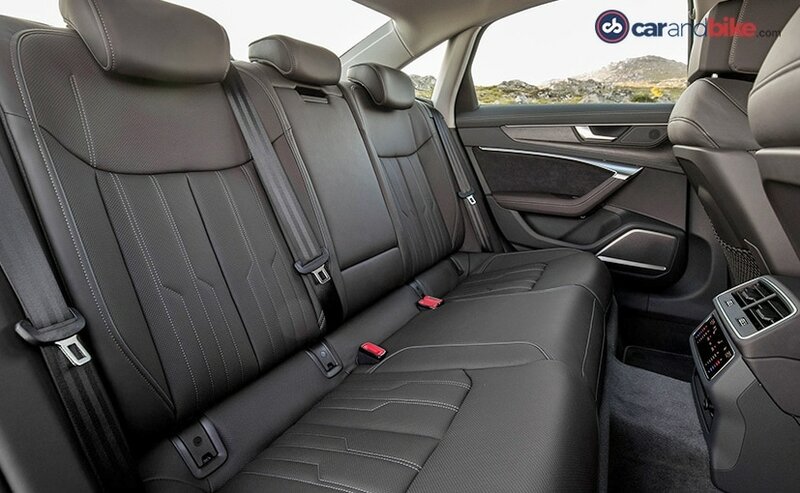 On the inside the A6 will truly impress as the cabin has moved up several notches on not just design, materials and gadgets, but most importantly - on comfort. 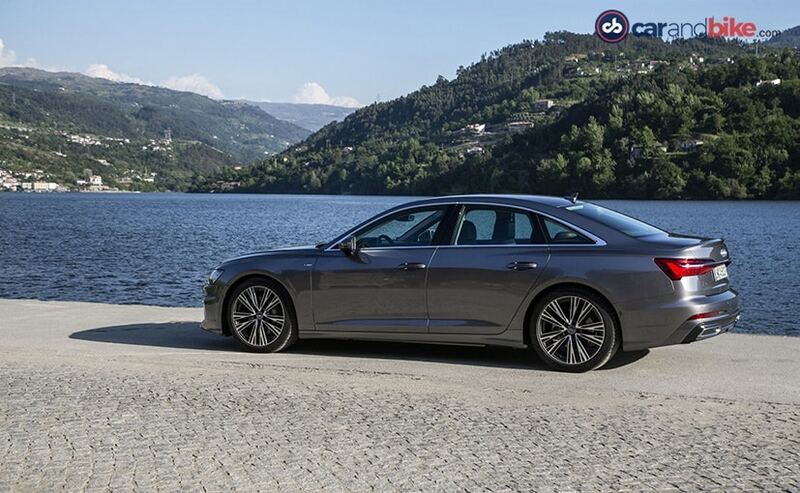 The last car had a very awkward rear bench and the new A6 will pamper its rear-seat biased owners with a very comfortable bench and seatback angle. Leather is standard - even in Europe - where the rivals do offer fabric seats in the entry variants. So is the virtual cockpit - already an Audi USP - that makes it to the A6 now. The Virtual Cockpit is something rivals have been desperately and overtly trying to replicate, with good reason. The big screen display on the instruments is crisp, and can be customised with bigger or smaller dials, full-screen navigation and much more. But the real x-factor comes from the twin touchscreens on the central console. 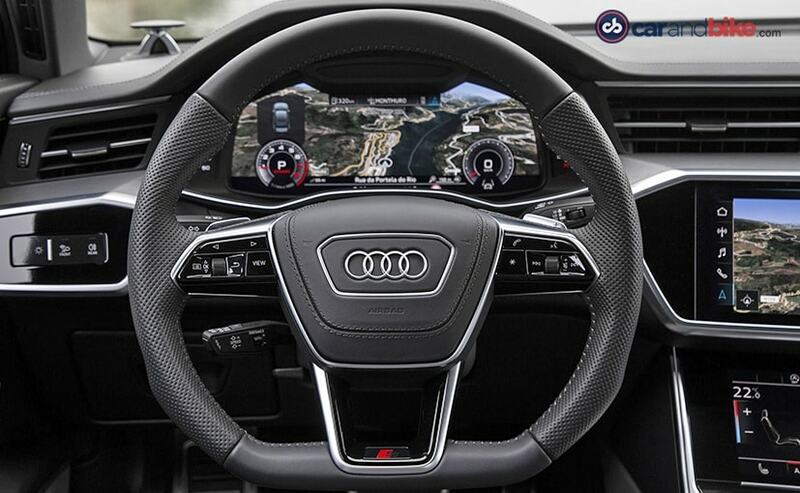 A direct carryover from the A8, the twin screen house all infotainment and climate settings between them. Haptic feedback is what makes the operation of these screens cool, but I have to say - you do need to look away from the road to get the climate control settings just right - something you could do with a dial or switch by habit - without looking at it. But it is still very cool. The MMI system's big rotary dial is gone, and so is the touchpad - the lower screen can be used to provide written inputs for the navigation or phone. The upper screen is wider and provides a great interface - especially for connectivity options like Apple CarPlay or the maps, etc. Now I am for embracing new tech, as many of you would know. But the touchscreen world isn't just about getting used to a new system. It takes away from keeping your eyes on the road, and so will need to quickly be backed up with voice command driven interfaces I feel. For instance you want to tweak the rear AC settings, or turn on inner-air circulation - you have to look down to find the exact spot on the screen to hit. On a button or knob based system, you'd get used to the feel and not have to look down - managing mostly by tactile feel. The screen can never be as accurate and so I was busy hitting the wrong functions. That I guess is where the 'getting used to' part will have to come in! So lets give this some time then! Audi will bring the car to India only around the middle of 2019 - yes that's very far away. But it will be a similar timeline as the A8L - which arrives to our shores in 2018, also a year after it's global launch. Expect prices to stay competitive and perhaps the 3-litre V6 diesel to also be made available subsequently, based on customer demand and feedback. But the A6 will be a credible and robust addition to the Audi sedan portfolio. And in my view, it should be able to cleverly juggle style and substance with performance and practicality - despite being flanked by the A5 and A7 families by the time it gets to us.